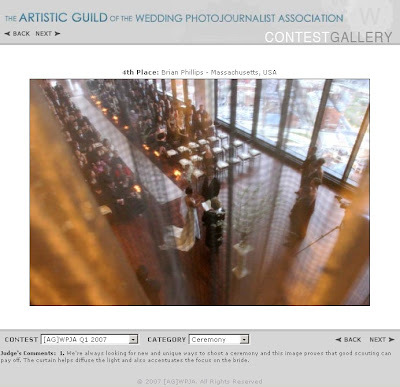 The results are just out for the Q1 2007 [AG]WPJA contest and I took a 4th place finish for this photo. I enter contests such as this lightly, never expecting a particular photo to place, but I have been pretty consistent with taking winning images that seem to impress the judges. An added bonus is the 12th place ranking on the front of the [AG]WPJA website. Keep in mind that amazing photographers from around the world enter this contest! Check it out!